Parker Pointing Ltd - Builder based in Goldsmith Drive, Essex. 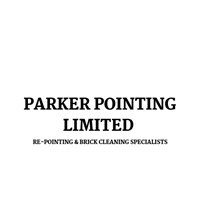 Parker Pointing Limited is a small family run business located in Rayleigh, Essex. With over 35 years of experience in the trade we can provide a service you can rely on. We pride ourselves on our extremely high standards of work and offering a professional, trustworthy service including free quotations and estimates. A selection of works we can offer; • Repointing • Brickwork Restoration • Weather struck and cut repointing • Stone aggregate repointing • Flush and barrel repointing • Historic lime mortar pointing • Brick Cleaning • Paint Removal • Chemical Cleaning • Chimney Repairs • Crack Repair • Heli Bar Installation • Brick Replacements • Restoration of old fireplaces.